The chemical tanker Yowa Maru, carrying 450 tons of caustic soda, started getting water ingress and sinking in Kudamatsu Port, Japan. The vessel collided with unidentified underwater object, suffering breaches and flooded ballast tanks. The chemical tanker Yowa Maru started listing to portboard and was in immediate danger of sinking. 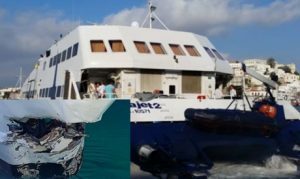 The accident was reported to local authorities and at the scene were dispatched rescue boats and towing vessels, which started salvage of the troubled tanker. There is no report about water pollution and oil leak during the accident, but the vessel is under monitoring from the hazmat team. All the 4 crew on board were safe and without injuries. After more than a day, the salvage managed to dock the chemical tanker Yowa Maru in Kudamatsu Port. 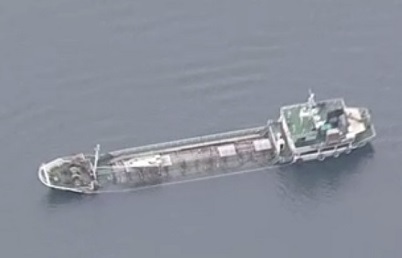 The vessel was stabilized and docked. The situation was put under control and water ingress was stopped. The investigation for the root cause of the accident is under way. The chemical tanker Yowa Maru (IMO: 8934116) has deadweight of 432 DWT and gross tonnage of 199 GRT. The vessel is operating under the flag of Japan and is managed by Seiwa Kaiun KK.